FRESH from Coachella the slick and smooth rapper G-EAZY is bringing his cool vibes to Scotland next month. The artist who looks like he should be more of a crooner than a hip hopping talent has announced UK headline dates in support of his album, When It’s Dark Out, released on December 4 last year. G-Eazy who had a Christmas hit with House Of Fraser Christmas TV advert, You Don’t Own Me by Grace, is already mixing with rap royalty. You can expect plenty of personal storytelling and immersive, hard-hitting and sweeping productions on tour if the album which includes stars like Big Sean and Chris Brown is anything to go by. 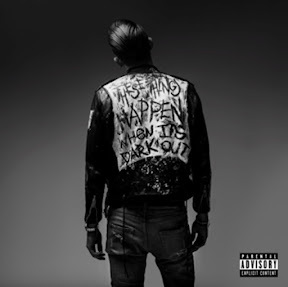 G-Eazy will also perform tracks from These Things Happen, which was released last year to critical acclaim. The freshman album peaked at the number 3 position on both the Billboard 200 and Top Digital Album Charts, and bowed at number 1 on the R&B/Hip-Hop Chart and Top Rap Albums Chart. Between the album and singles, G-Eazy’s past work has also amassed well over 50 million streams on Spotify. As a live performer, G-Eazy has been called by USA Today one of the best and biggest hip-hop touring acts on the college circuit. Catch him at Glasgow's 02 ABC2 on May 21 while you still can.